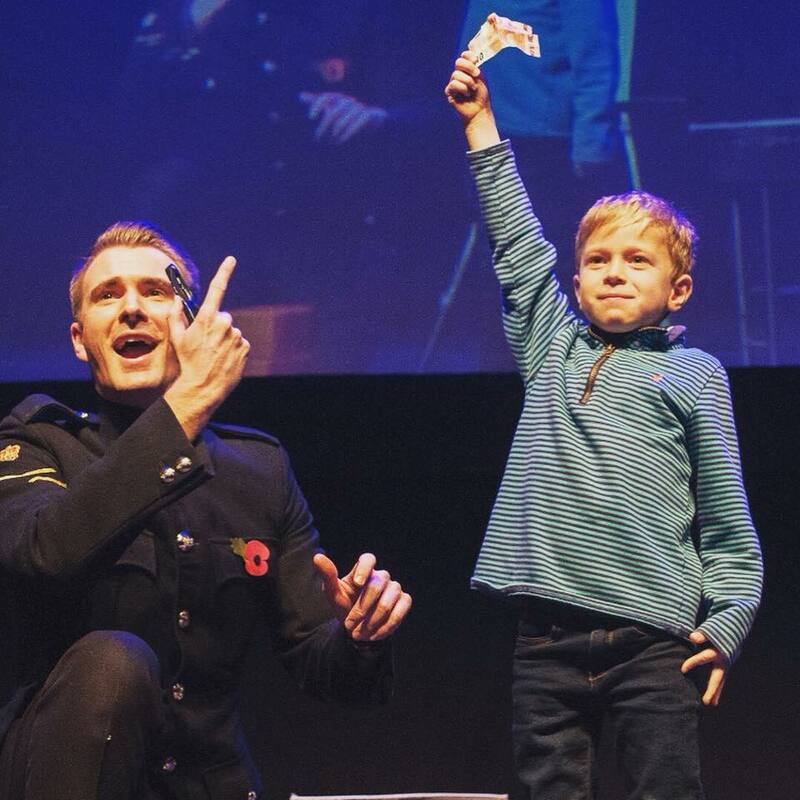 An unmissable show combining Magic & Illusion with cutting edge psychological discoveries which will change the way we look at life forever! 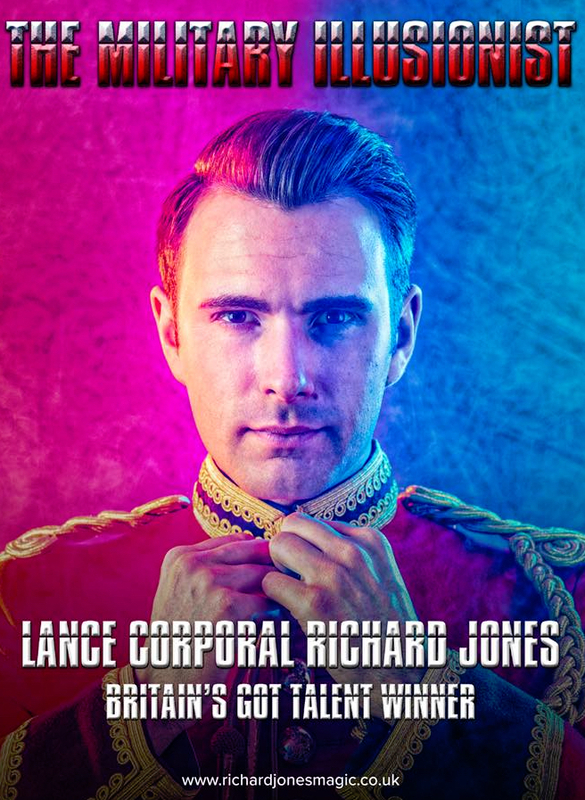 The Winner of Britain’s Got Talent 2016 Lance Corporal Richard Jones presents his brand new show Escape. 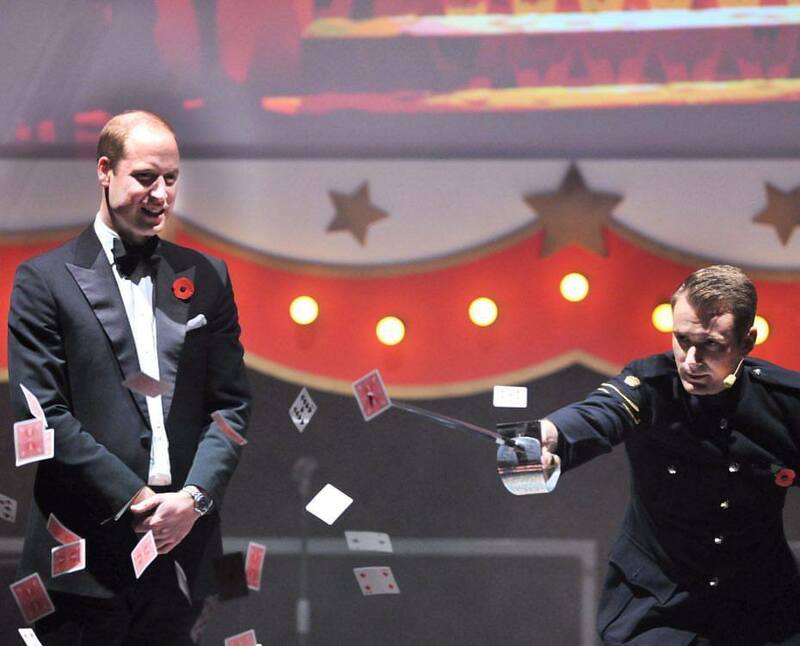 Where the audience will be taken on an immersive journey & pushed through the Limits of Reality! 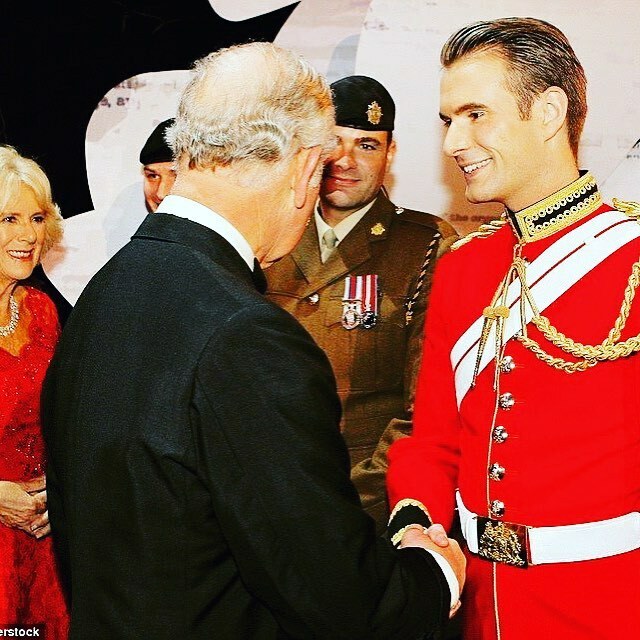 Richard combines his 10 years of specialist Army training with his unique gift of magic to create a show you will never forget! He has toured all over the globe, headlined the West End and is a regular performer on prime time TV. Time to stretch what we believe is possible. 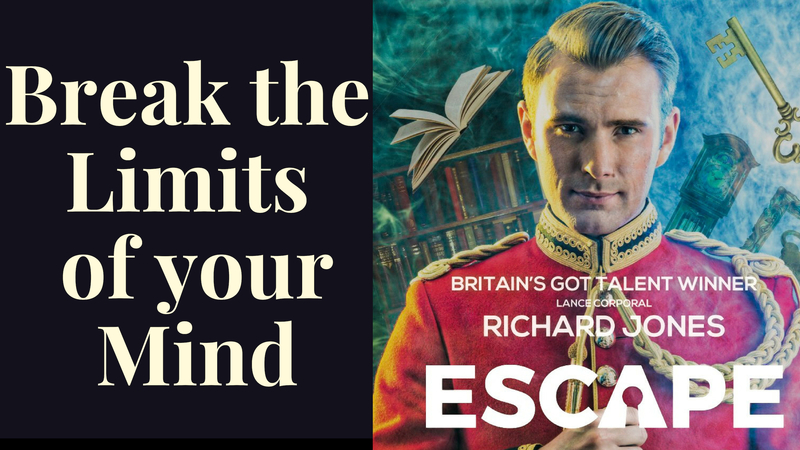 Prepare to be amazed & witness first hand the breathtaking magic of power of our imagination as we break through the limits together. 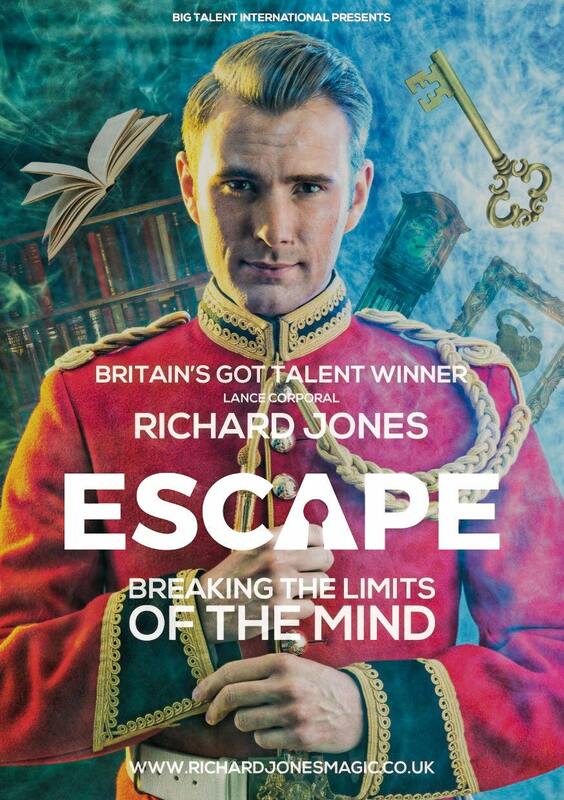 Prepare to question what you believed was impossible with Britain’s Got Talent Winner Richard Jones! Escape the limits of your mind with an experience you will never forget!